Lynne Skiffington is a board-certified life coach with many years’ experience working with people and developing leaders. She has served on church and private school boards, has been director of a private elementary school and has developed several small successful businesses. 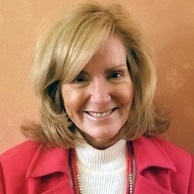 She has expertise in analyzing and interpreting student assessments of many kinds and is passionate about helping students identify their unique strengths, gifts and passion to guide them toward their future college and career goals. There is no greater joy for Lynne than helping young adults reach their God-given potential. Lynne serves as our student services coordinator, providing and interpreting MAPP career assessments with high school and college-age students and helping them choose the “perfect fit” with regard to college/postgraduate training.